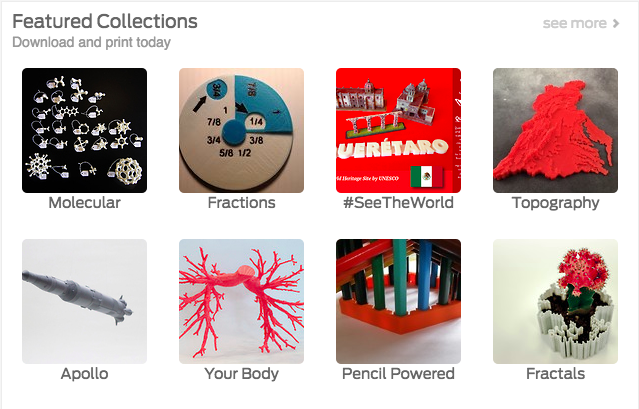 Help Feature Hispanic Heritage on Thingiverse Front Page! But there is a problem. The name of the collection is too long. The title of the collection needs to be 15 characters or at least start with 15 characters. Hispanic Heritage is 17 characters. Need suggestions ASAP. @DesignMakeTeach Maybe use a hashtag to condense spaces? Or use language as a cue – "La Herencia"? Leave a comment or contact me on Twitter @DesignMakeTeach. Thanks to everyone that is helping to contribute to the National Hispanic Heritage Month collection and group. Catch up on this exciting project to bring Hispanic and Latino culture and heritage to Thingiverse through art.